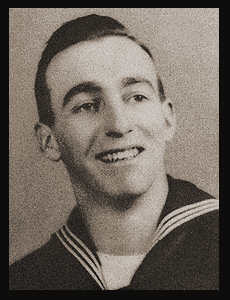 MM 3/c James N. Butcher, son of Mrs. Maude E. Butcher, graduated from Hollister High School. Entered service in Nov. 1943, trained in Camp Peary, Va., Philadelphia, Pa., Roosevelt Cal. ; served in Borneo, the Philippines, Samar. Awarded Asiatic Pacific Ribbon, Am. Defense Ribbon.